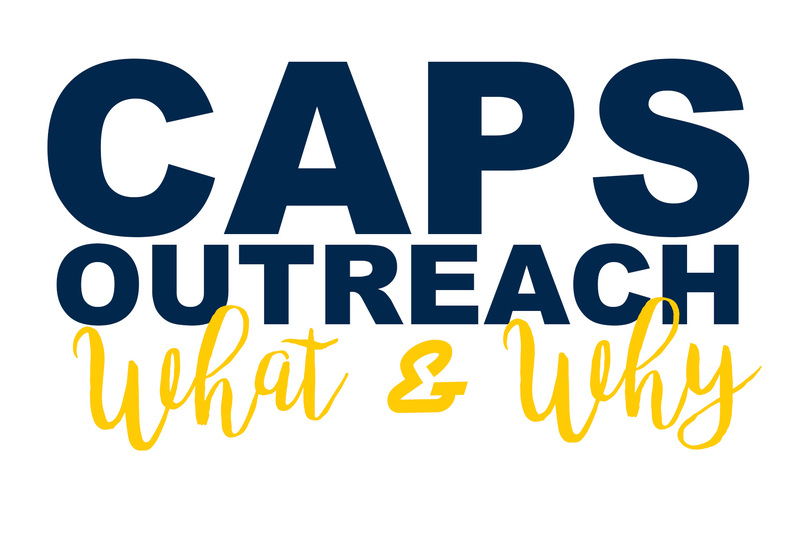 CAPS Community Engagement and Outreach is multi-faceted and comprehensive. Simply, it's a way to reach all 46,000 of our University of Michigan students. Together, we can all change the story about college student mental health. Who do we reach through outreach? We are essentially connecting with students who do not traditionally utilize individual or group therapy. These could include students who may want to know more about how to help a friend or students who may experience stigma about help seeking or students who may need support, but not necessarily counseling. CAPS creates a “web of support” not only for students, but also encourages staff and faculty involvement through a variety of education and prevention efforts.